Prague is the capital and the largest city of the Czech Republic. Approximately 1.2 million people live there and the Metro is a backbone of its public transport, serving over one million pasengers a day. If you want to read more about Prague and all of its tourist landmarks, the best source is Prague-wiki.com - a tourist encyclopedia of Prague. The metro is run by the Prague Public Transit Company Inc. (Dopravní podnik Praha or DP Praha or simply DPP), a company owned by the City of Prague, who manages most of means of public transport around the city (the metro, tramways, buses, a funicular to the Petřín hill and the chairlift inside Prague Zoo). Since 1993 this system has been connected to commuter trains and buses and also to "park-and-ride" parking lots - together they form a public transportation network reaching further from the city, the Prague integrated transport (Pražská integrovaná doprava - PID). Besides DP Praha there are many private bus transport companies which run the commuter bus lines. Whilst the large system is zonally priced, the metro is fully inside the central zone. The Prague metro comprises three separate lines marked with letters A, B and C. They are represented by three colours on the maps and signs: line A green, line B yellow and line C red. There are 54 stations in total, connected by more than 50 kilometers of mostly underground railways. You can see all lines and stations on metro lines map or on a map with the tram system. 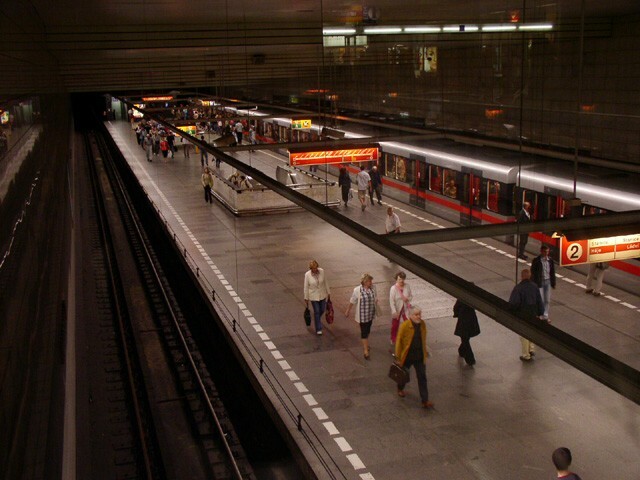 The metro service operates between 5 am and midnight every day, with around 2-3 minutes between trains during rush hours. 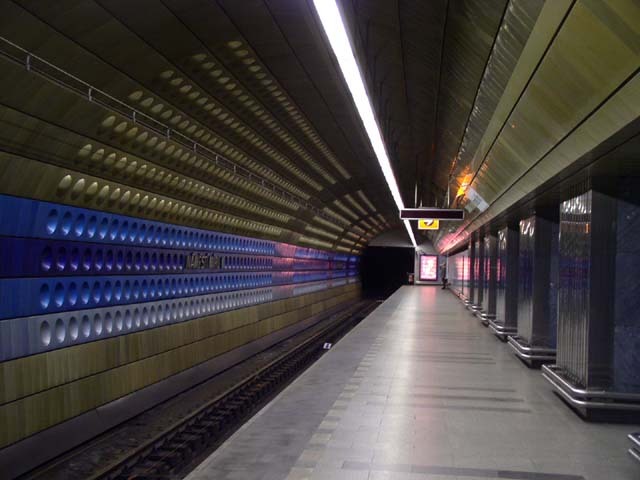 Over 420 million passengers use the Prague metro every year. 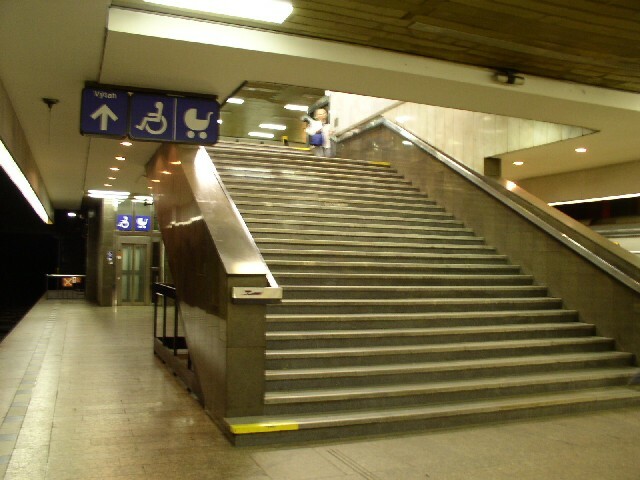 All three lines of the metro system meet in the centre of the city, forming a triangle with three transfer stations (Muzeum, Můstek and Florenc). The depth of the stations varies considerably. The deepest station is Náměstí Míru, located 52 meters under the surface. The stations in the city centre on lines A and B were mostly bored using the tunneling shield and they are therefore located quite deep. Outer parts of these lines and almost whole line C were dug by the cut-and-cover method so the stations are only a few meters under the ground. 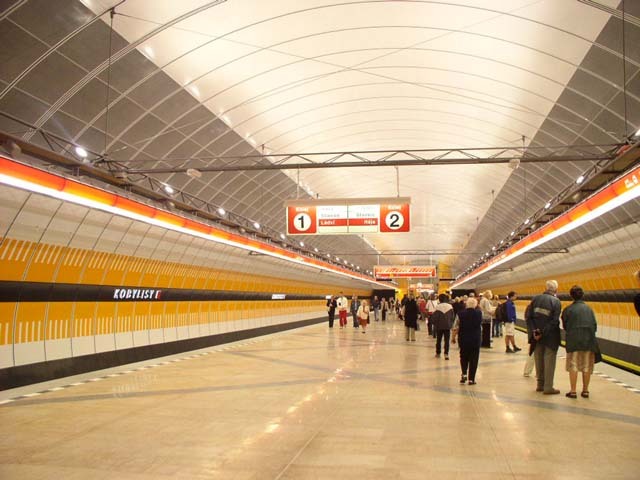 The B line partly runs inside a glassed-in tunnels above the ground: between the stations Hůrka and Lužiny in the western part and between Rajská zahrada and Černý Most in the east. The line C between I.P.Pavlova and Vyšehrad crosses a valley inside a 40 metres high road bridge. 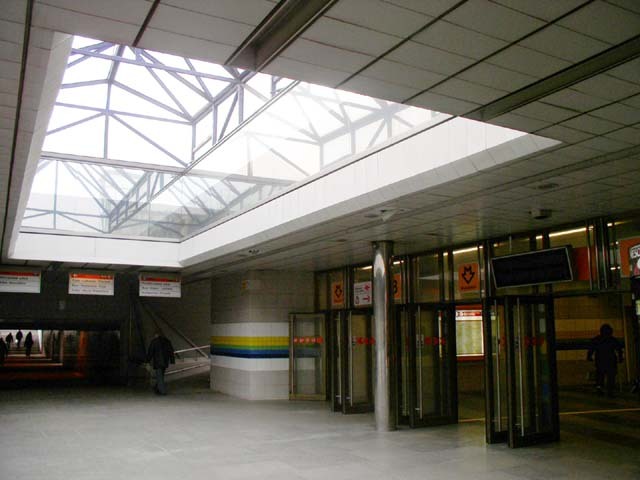 Most of the cut-and-cover stations have a single platform in the centre of the station hall serving both directions. They generally have straight ceiling sometimes supported by columns. The deep-level stations are usually formed from three tunnels: The larger central aisle with the track tunnels on each side. 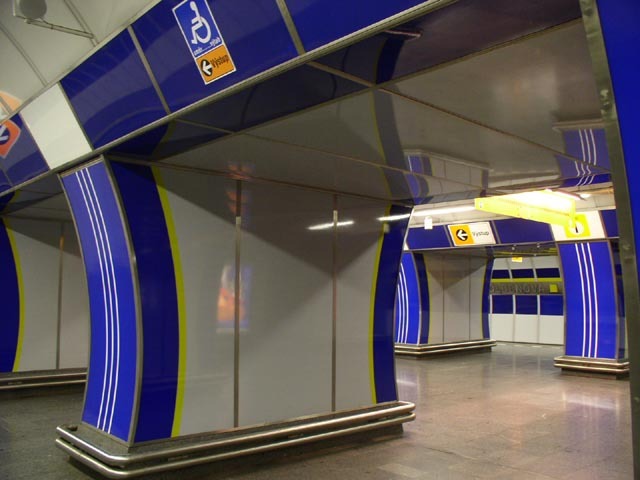 The Prague metro is an open ticket system. Passengers are obliged to buy and validate a ticket before entering the metro platform. There are plainclothes ticket inspectors who have the right to check the validity of the ticket at any time within the compulsory ticket area. Prague Public Transit Company Inc.